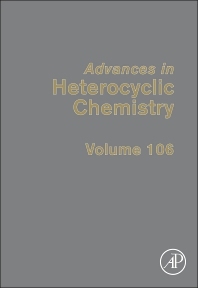 Established in 1960, Advances in Heterocyclic Chemistry is the definitive serial in the area—one of great importance to organic chemists, polymer chemists and many biological scientists. Written by established authorities in the field, the comprehensive reviews combine descriptive chemistry and mechanistic insight and yield an understanding of how the chemistry drives the properties. Alan Katritzky was educated at Oxford and has held faculty positions at Cambridge and East Anglia before he migrated in 1980 to the University of Florida, where he was Kenan Professor and Director for the Institute for Heterocyclic Compounds. During his career he has trained more than 1000 graduate students and post-docs, and lectured and consulted world-wide. He led the team, which produced “Comprehensive Heterocyclic Chemistry” and its sequels, "CHEC-II" and "CHEC-III”, has edited “Advances in Heterocyclic Chemistry, Vols. 1 through 111” and conceived the plan for “Comprehensive Organic Functional Group Transformations”. He founded Arkat-USA, a non-profit organization which publishes “Archive for Organic Chemistry” (ARKIVOC) an electronic journal completely free to authors and readers at (www.arkat-usa.org). Honors include 14 honorary doctorates from 11 countries and membership of foreign membership of the National Academies of Britain, Catalonia, India, Poland, Russia and Slovenia.